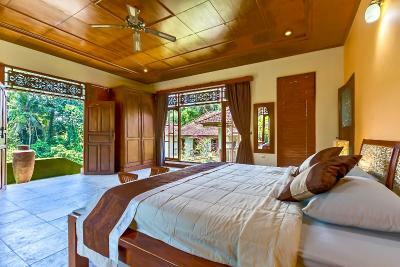 Lock in a great price for Hotel Villa Ubud - rated 8.6 by recent guests. Lovely setting with well maintained gardens, the pool area was excellent. 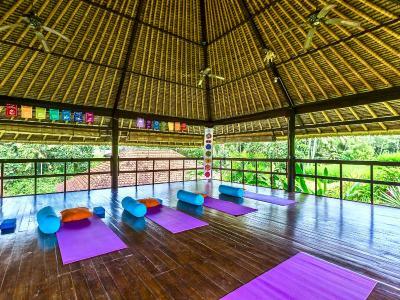 All the staff are pleasant and helpful and hard working. 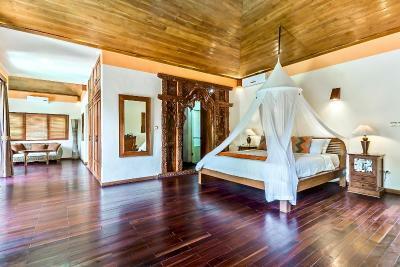 We loved this accommodation. 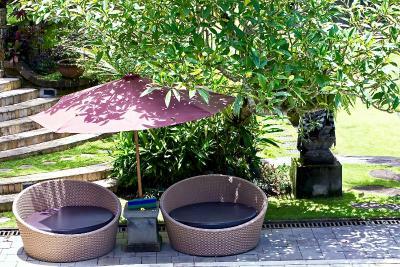 Such a quiet and wonderful garden, great pool, lovely staff. They were so helpful. We enjoyed our stay so much that we came back for a second time. Highly recommended hotel. Thank you very much! The place is amazing, very nice, It looks like a Castle in the middle of the forest. Tutto! Ambiente, personale super cordiale e pure i pasti sono stati ottimi Un paradiso! 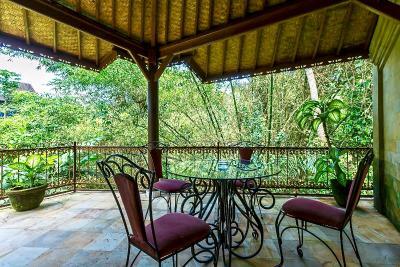 La decoracion del hotel, el entorno en la naturaleza y su tranquilidad. 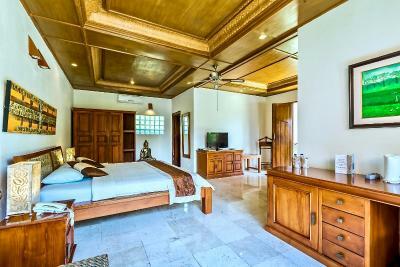 Die angebotene Shuttle-Service fanden wir sehr gut, weil die Villa außerhalb Ubud liegt. Die Lage war traumhaft, eine Oase der Ruhe mit einem großen Pool. Sehr freundliches Personal, hilfsbereit und aufmerksam. 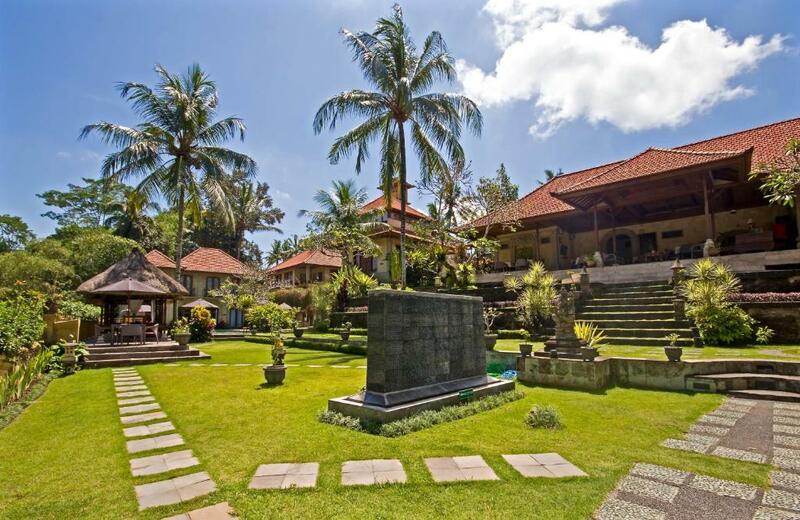 A 10-minute drive from Ubud, Hotel Villa Ubud is situated in Pejeng, Gianyar. 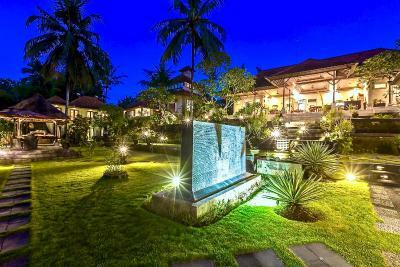 Featuring a blend of modern and traditional Balinese design, it features an outdoor pool and open-air restaurant. 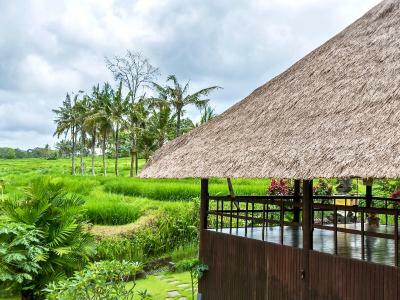 Guests enjoy free scheduled shuttle to Ubud area. 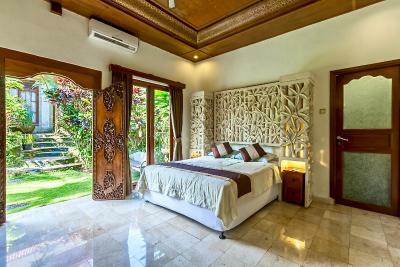 The cottage-style rooms at the Ubud Bali Villa come with a flat-screen TV and DVD player. 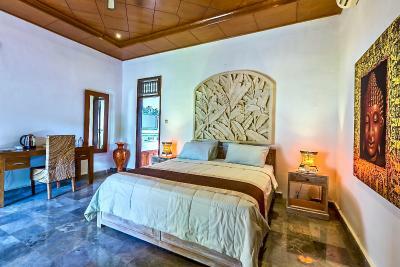 Each room has a safety deposit box, a minibar and tea/coffee making facilities. 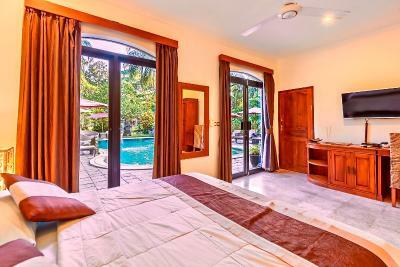 The attached bathroom is fitted with a bathtub and shower. 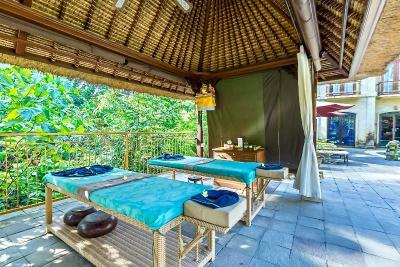 Guests can enjoy massage and body treatments at the spa. 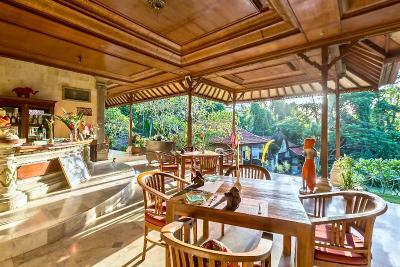 Balinese dance and cooking classes can be arranged. 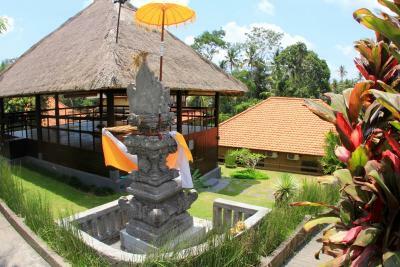 The resort provides car, bicycle and motorbike rental. Fiber optic WiFi is free in all areas. 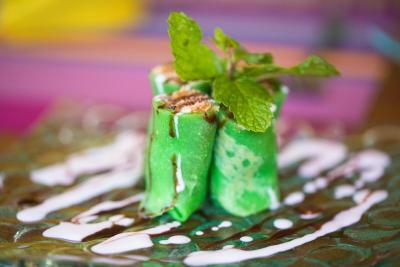 The restaurant serves local specialities as well as Italian dishes. 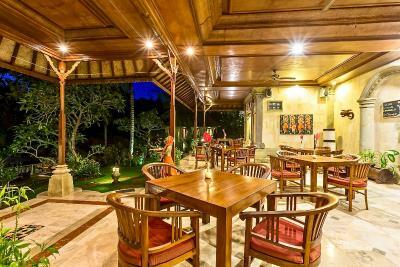 It also offers an extensive wine list and a cocktail menu. 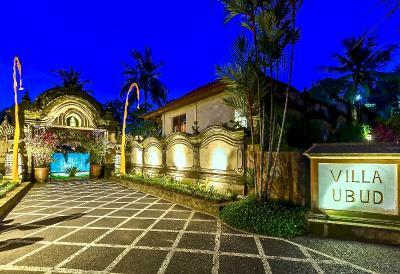 Hotel Villa Ubud is approximately a 1-hour drive from Ngurah Rai International Airport. 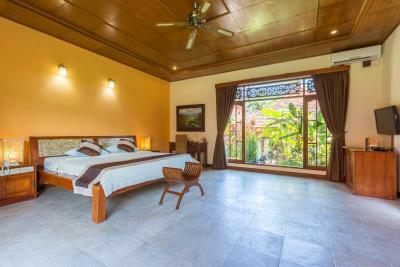 Hotel Villa Ubud has been welcoming Booking.com guests since 28 Oct 2010. 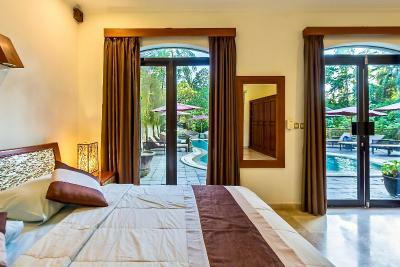 When would you like to stay at Hotel Villa Ubud? 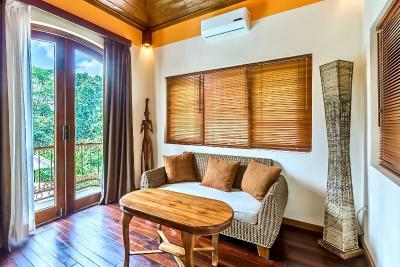 Accommodating up to 4 persons, each of the adjoining rooms has air conditioning, a seating area and a private bathroom with free toiletries. 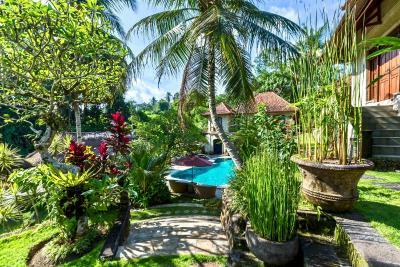 Villa Ubud is located in secluded and Peaceful Village surrounded by lush tropical greenery. 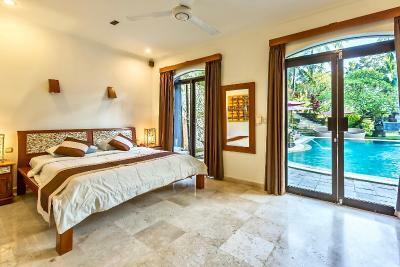 Bali Villa Ubud is very well maintained accommodation. 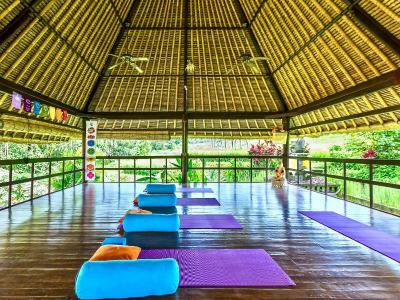 we offer free shuttle to Ubud area. 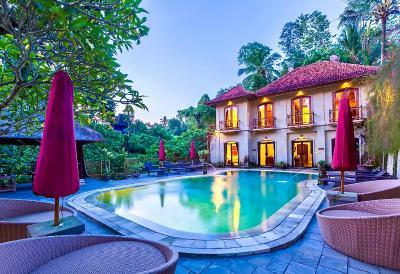 House rules Hotel Villa Ubud takes special requests - add in the next step! 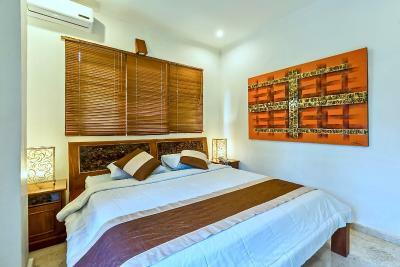 All children under 2 years are charged IDR 150000 per night for children's cots/cribs. 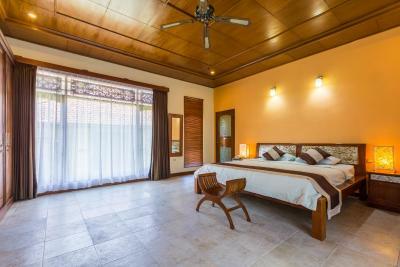 All further older children or adults are charged IDR 450000 per night for extra beds. 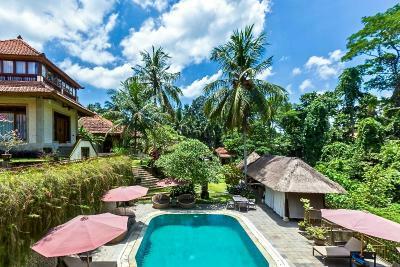 Hotel Villa Ubud accepts these cards and reserves the right to temporarily hold an amount prior to arrival. i just found the location a bit far off from the airport. During the checkin the room that was being given to us was different than what was seen on Booking.com. 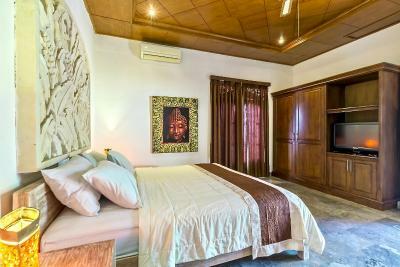 We had to talk to the lady at the reception about our displeasure and if she could check with the owner Luca for a better villa. 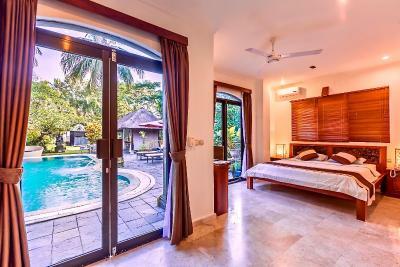 After discussion we were given a nice villa but we had to spend extra money for the upgrade. 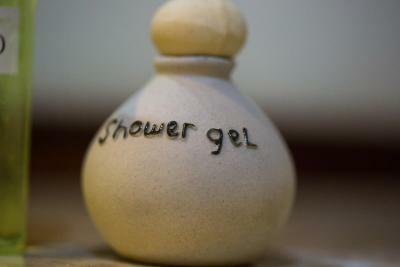 This caused a slight irritation since we were there after a long flight from India. 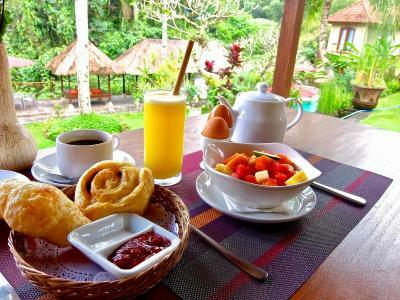 Would just like to see some additional menu included for breakfast and dinner with some variety also within Veg option since my partner faced some issues with respect to the food. As promised our driver was standing with the name board to welcome us at the airport before we arrived. He took us safely to the hotel on that day, and to other sightseeing temple visits the following days. He was knowledgeable about the culture and traditions and well versed us with the information and history of the place and attractions that we visited. 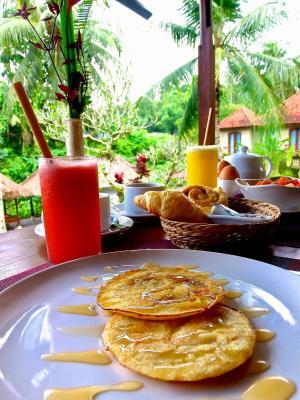 The breakfast menu was always checked with us on previous day, so that we didn't have to wait at the table next morning. 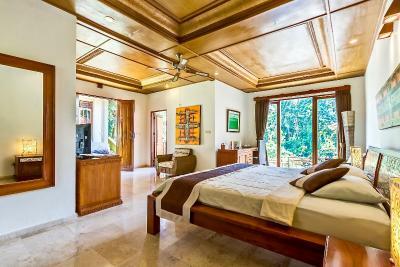 The rooms and villas were large and airy. 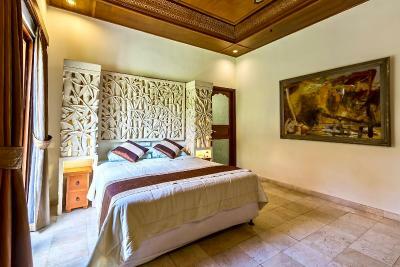 The bed was cozy and comfortable specially after a tiring day. 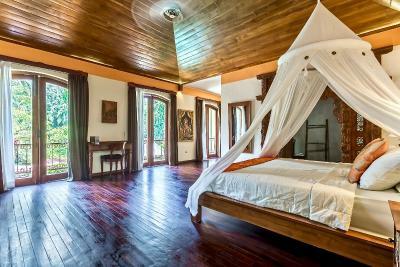 The net drape around the bed made it more for the romantic moments. 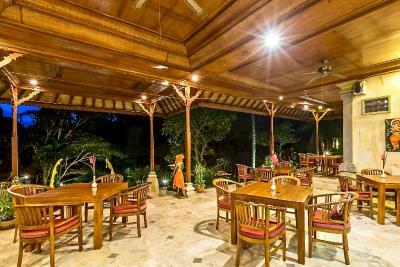 The greenery and the cleanliness made it so soothing and relaxing to enjoy the evenings or even the late night drinks under the open sky. 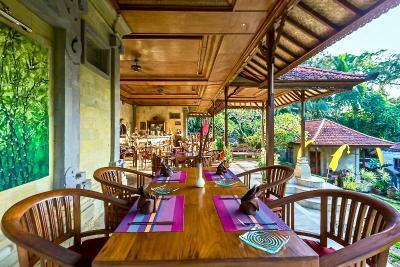 the driver on the day we left took us to the nearest Luwak Coffee plantation visit. Was such a wonderful experience. 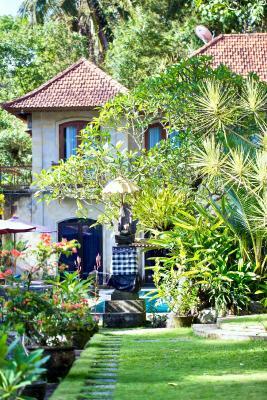 The entire staff at the Villa and the owner were so warm and cordial. They catered to the every small need that we asked for. Even the owner Luca was so friendly and cordial. Bed very uncomfortable, alot of noise from dogs barking during the night so if you are a light sleeper it will keep you awake. Not much choice at breakfast as you have to pick what you want from a tick list on the previous day. Said my room was overlooking a river...didn't see the river. Other than that...it was wonderful!